Paul Kantner is recognized worldwide for his innovations to the San Francisco music scene as the psychedelic captain for Jefferson Airplane. After the Airplane disbanded, a savvy Kantner created a parallel rock band, perhaps to mimic a parallel universe, but using a slight deviation from the original trademark. Henceforth, Jefferson Starship is launched. Jefferson Airplane and Jefferson Starship are amazing stories, and both bands have sustained one of the longest lasting relationships or affiliations in rock history. 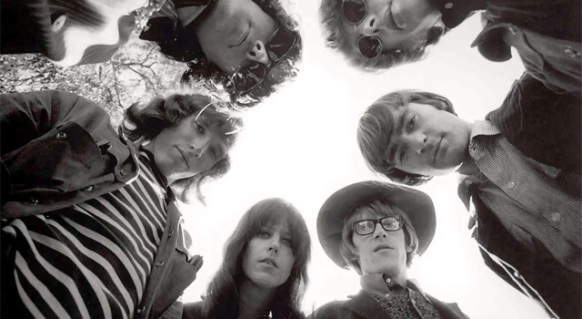 Jefferson Airplane was formed in 1965, but the group’s classic line-up would eventually evolve into Paul Kantner, Marty Balin, Grace Slick, Jorma Kaukonen, Spencer Dryden and Jack Casady. In 1966, the Airplane was spotlighted in an article in Newsweek Magazine regarding the booming San Francisco music scene, which contributed to a mass convergence of young people into the city and the birth of the hippie culture, which ultimately led to the Summer of Love (1967). Jefferson Airplane scored huge commercial success with their second album, Surrealistic Pillow (1967). It was the first album to feature their new singer Grace Slick (The Great Society). The album spawned the proverbial Top 40 classics, “Somebody to Love” (#5 Hit on Billboard’s Hot 100) and “White Rabbit” (#8 Hit on Billboard’s Hot 100). Both songs were originally recorded by Grace Slick and The Great Society. The Jefferson Airplane became one of the hottest rock groups in America. In 1968, legendary music promoter Bill Graham was fired as the band’s manager. Between 1967 and 1972, The Jefferson Airplane churned out eight consecutive Top 20 albums in the U.S. with Surrealistic Pillow and Crown of Creation landing in the Top 10. Their controversial anti-war inspired release Volunteers (1969) featured, “Wooden Ships” a tune penned by Paul Kantner, Stephen Stills and David Crosby. (The song was also recorded by Crosby, Stills & Nash on their debut album). It was supposedly written on David Crosby’s boat while in Florida. Both versions of “Wooden Ships” were performed at Woodstock. The Jefferson Airplane became the only band to perform at The Monterey Pop Festival (1967), Woodstock (1969), and the Altamont Free Concert (Headlined by The Rolling Stones -1969) … three of the most recognized music festivals of all-time. Paul Kantner and Grace Slick began a relationship in 1970. Later that year, Kantner released his first solo effort, a concept album entitled, Blows Against the Empire. It was released as … by Paul Kantner and Jefferson Starship. It would be the first studio album to use the Jefferson Starship trademark. Paul Kantner and Grace Slick gave birth to their daughter China Wing Kantner in 1971. (China became an actress on television, cinema, and the stage). In 1972, after recording Long John Silver, and followed with a series of concerts, Jefferson Airplane called it quits. After the break-up, Jorma Kaukonen and Jack Casady continued their success with its spin-off band Hot Tuna. Jefferson Airplane briefly reunited in 1989 with all its original members except for Spencer Dryden. A self-titled album was followed with a successful concert tour. The Jefferson Airplane was inducted into the Rock and Roll Hall of Fame in 1996. Jefferson Starship officially launched in 1974. The line-up included Paul Kantner, Grace Slick, David Freiberg, John Barbata, Papa John Creach, Pete Sears and Craig Chaquico. The band’s first album Dragon Fly landed at #11 on Billboard’s Hot 100. Marty Balin contributed his lyrics on “Caroline.” Balin officially joined Jefferson Starship in 1975. Jefferson Starship’s subsequent release Red Octopus became the bands bestselling album. The album reached #1 on the Billboard 200. The album produced the hit single “Miracles” (#3 Hit on Billboard Chart) penned by Marty Balin and “Play On Love” written by Grace Slick (#49 Billboard Hot 100). Fiddler, Papa John Creach left the group in 1975. Jefferson Starship continued their incredible string of commercial successes with the release of Spitfire in 1976. The album reached platinum and included the hit tune, “With Your Love” (#12 Hit on Billboard’s Hot 100). In 1978, the bands next release Earth charted at # 5 on the Billboard charts. “Count On Me” yet another hit single peaked at #8 on the charts. Jefferson Starship became a mainstay on both Top 40 and AOR radio stations. By 1979, Paul Kantner’s uncanny ability to helm two independent and commercially successful Mega-Groups became even more apparent after a huge lineup change. Grace Slick and Marty Balin had left the band in ‘78. 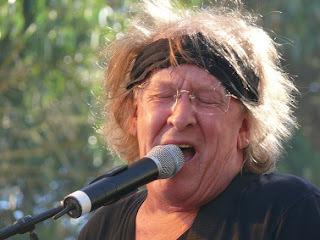 Kantner spotlighted a new lead singer Mickey Thomas (Elvin Bishop Group –Mickey sang “Fooled Around and Fell in Love”). John Barbata was in a serious car accident and was replaced with legendary drummer Aynsley Dunbar (previously in Journey). Even without key band members, Kantner and his Jefferson Starship produced yet another monstrous album entitled, Freedom at Point Zero. The album spawned the hard-driving rocker “Jane” (#14 Hit on Billboard’s Hot 100). Grace Slick returned to Jefferson Starship in 1981 and contributed on their next three albums, Modern Times (1981) which generated the hit, “Find Your Way Back” (#29 Hit on Billboard’s Hot 100), Winds of Change (1982), and Nuclear Furniture (1984). Jefferson Starship maintained their status as one of the most commercially-successful rock groups over the airwaves and on the worldwide concert circuit. And continuing to churn out added hits like … “Winds of Change” (#38 Hit), “Be My Lady” (#28 Hit), and “No Way Out” (#23 Hit). Drummer Aynsley Dunbar left the band in 1982 and was replaced with Donny Baldwin (Elvin Bishop Group). 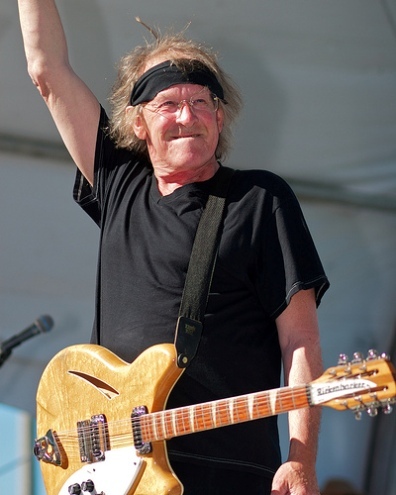 Paul Kantner left Jefferson Starship In 1984; a lawsuit by Kantner was settled out of court over the use of the Jefferson Starship name. An agreement was signed by all band members not to use the names “Jefferson” or “Airplane” unless all members of Jefferson Airplane, Inc. agreed. Under the name “Starship” the lineup of Grace Slick, Mickey Thomas, Donny Baldwin, Craig Chaquico, and Pete Sears released their platinum debut album Knee Deep in the Hoopla (1985) which produced three #1 Hits on Billboard’s Top 100 … “We Built This City,” “Sara,” and “Nothing’s Going To Stop Us Now.” By the late 80’s, band members began departing and the name would eventually be changed to ‘Starship’ featuring Mickey Thomas. In 1985, Kantner formed KBC Band with former Jefferson Airplane mates Marty Balin and Jack Casady. The band released a self-titled album and toured between1985-1987. Kantner then left to visit with the Sandinistas in Nicaragua. (Kantner continues to write about his exploits with the Sandinistas in a series of novels). In 1992, Paul Kantner re-launched Jefferson Starship as ‘Jefferson Starship -The Next Generation’ and the band grew stronger than ever. (Kantner eventually dropped ‘The Next Generation’). Marty Balin rejoined the band in 1993; he departed in 2003 but still contributes from time to time. Grace Slick has also made contributions to the group over the years. In 2008, Jefferson Starship released their tenth studio album, Jefferson’s Tree of Liberty followed by a worldwide tour. In 2009, Jefferson Starship headlined ‘The Heroes of Woodstock’ tour. Most of the concert dates featured … Jefferson Starship, Big Brother and the Holding Company, Canned Heat, Ten Years After, Tom Constanten (The Grateful Dead). Other dates included Melanie, Edgar Winter, John Sebastian, Quicksilver Messenger Service, Mountain, Levon Helm Band, and Country Joe McDonald. Today … the current Jefferson Starship is Paul Kantner (vocals/guitars), David Freiberg (vocals/guitar), Cathy Richardson (vocals), Slick Aguilar (lead guitar), Chris Smith (keyboards), and Donny Baldwin (drums). The band also invites past members to perform occasionally. 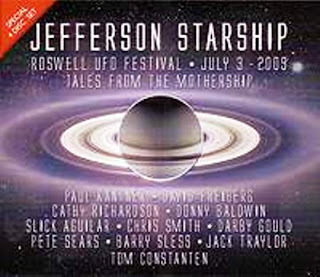 Jefferson Starship recently released a 4-CD set entitled, Tales From The Mothership. 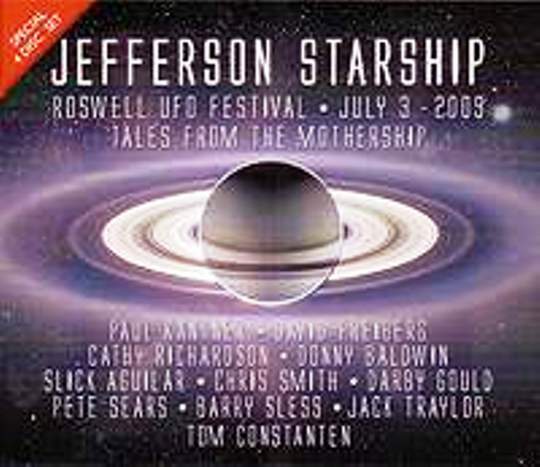 The CD was recorded live at the ‘Roswell UFO Festival’ in Roswell, New Mexico on July 3rd 2009. Jefferson Starship was dubbed “Grand Martians” for that year’s parade. The setlist included many of their classic hits plus material that has never been performed live. I caught up with Paul Kantner recently while in between a lengthy worldwide concert tour that will include Florida dates. Here’s my interview with the legendary captain of Jefferson Airplane and Jefferson Starship … PAUL KANTNER. Ray Shasho: Hi Paul! This is a rather lengthy tour that you’re on …how’s it going out there so far? Ray Shasho: Do you still enjoy doing the long tours? Ray Shasho: Paul, I’d like to personally commend you and the band for not continuing on with the Airplane name after the group disbanded. Bands are continuing to use the original band name without key band members involved. 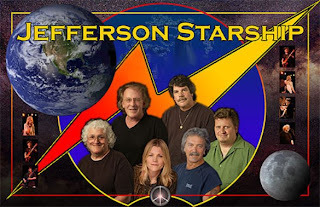 Ray Shasho: Let’s talk about Jefferson Starship’s most recent release, Tales from the Mothership. Ray Shasho: Why Roswell, New Mexico? Ray Shasho: Your Sci-fi influence was certainly apparent on your solo album, Blows Against the Empire. Ray Shasho: Blows Against the Empire was about a group of people “escaping” earth in a hijacked starship? Ray Shasho: So are you a UFO enthusiast? Ray Shasho: What was Roswell like … was there heavy security guarding certain areas around town? Ray Shasho: You didn’t try to get into Area 51? Ray Shasho: I’ve chatted with Gregg Rolie (Santana), Johnny Winter and Henry McCullough (Joe Cocker) about Woodstock …now it’s your turn. Ray Shasho: Was the ‘Heroes of Woodstock’ tour a lot of fun? Ray Shasho: I saw Jefferson Starship headline for Jeff Beck and the Jan Hammer Group at a sold-out Capitol Centre in Maryland … somewhere in the 70s. Ray Shasho: Red Octopus was a huge selling album … why do you thing that was? Ray Shasho: I play mostly electric guitar and have always thought that the banjo was a tough instrument to play. Ray Shasho: I chatted earlier this year with Roger McGuinn about the old traditional folk songs and how much we miss hearing them, but also about just keeping younger and future generations aware of the genre. Do you talk with Roger? Ray Shasho: Any thoughts of mentoring kids about folk music. Ray Shasho: So there are no plans after the band? Ray Shasho: If you had a Field of Dreams wish … what artist past or present would you like to collaborate with? Ray Shasho: Paul, what else do you like to do besides playing music? Ray Shasho: I’ve noticed a lot of rock stars that are getting up in age are now turning to God. Ray Shasho: I’m okay with that as long as they don’t come off sounding like TV evangelists. Ray Shasho: Final thoughts Paul? Ray Shasho: Thank you so much Paul for spending time with me today, but especially for all the incredible music you’ve given to all of us over the years and into the future.